Paytm was founded by Vijay Shekhar Sharma and owned by One97 Communications, and its headquarter is located in Noida, India. It is one of the most famous Indian e-commerce company which initially provides mobile and DTH recharging facilities. 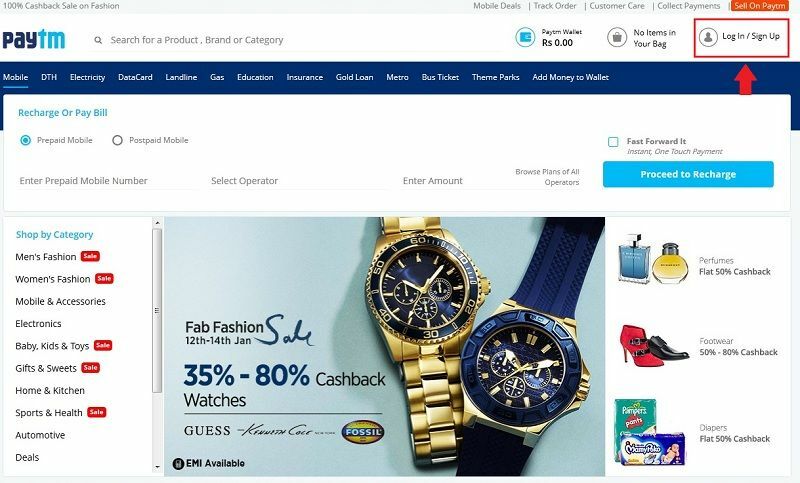 But after a tremendous success of its app, Paytm shifted its paradigm into e-commerce business, just like Flipkart, which is also India’s top most e-commerce giant. In this article, we are explaining the procedure of creating a paytm account hassle free. 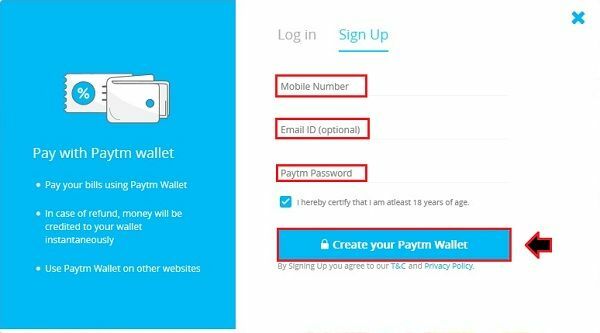 Just have a glance at this article to know how to create a paytm account. 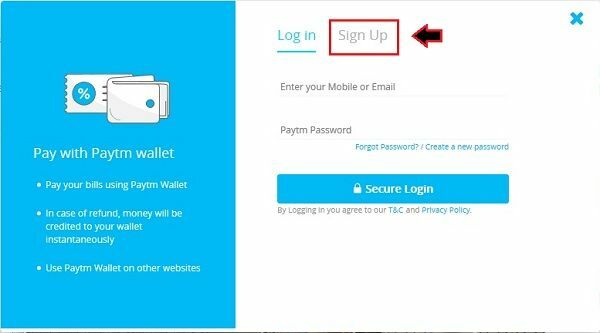 Step 1: First go to the Paytm official website, i.e., “www.paytm.com” and then click on “Log In/Sign Up” button to create your Paytm account. Step 2: After that, you may see a window pops open. Just go to the “Sign Up” option, as marked in the image below. Step 3: In the next step, you’ve to type your Mobile number, Email ID (which is optional) and your Paytm password. After that, you need to click on the checkbox saying “I hereby certify that I am at least 18 years of age” and then click on “Create your Paytm Wallet” button. 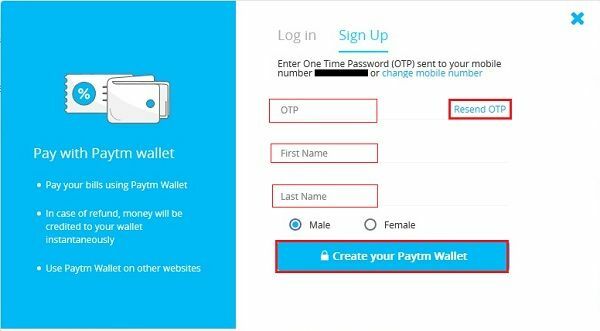 Step 4: In the final step, you have to write your OTP (One time password), that has been sent by Paytm to your registered mobile number followed by your First and last name and then click on “Create your Paytm Wallet” button. Now, you are ready to pay your bills and enjoy your shopping through Paytm.